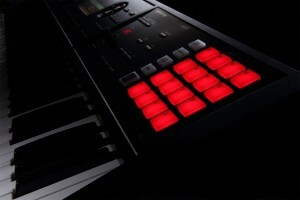 If you are beginning to set up your first home studio a keyboard/controller is definitely one of the first purchases you should make. Having an effective workstation at your disposal will make perfecting your craft more efficient and much more easy. I have personally been stuck with less than quality equipment when I was first starting my business, and quickly realized that in this industry it’s always smarter to buy with quality over quantity in mind. Don’t let these companies fool you by adding a few LED’s beneath some pads and adding an extra $500 on the price tag. Quality over quantity, function over form. 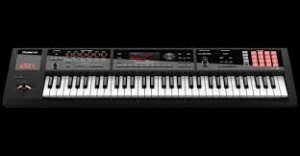 When I first got this keyboard controller I was a bit underwhelmed, I was not expecting anything from this keyboard that I could get from Native Instruments Komplete Kontrol series, but I also havent stop fiddling with it since I received it from Amazon. Sampling on this keyboard is some of the easiest on board editing I have ever encountered. You can edit the start and end of each sample which is cool if you dont get it on time the first time. These pads aren’t velocity sensitive but I’m looking for a dedicated drum sequencer so this should do perfect for audio sampling. This is something I have always wanted on my onboard keyboards since I played with the Esoniq ASR-10 at a friends house. This makes editing samples incredibly easy for the beginner producer. The keys are plastic but they are surprisingly quiet and playable, I have no gotten the annoying ‘click’ response that I get back from some heavier weighted keys.. I enjoy the keys a lot better than most keyboards, very easy to the touch. I have noticed that quite a few people complain about the preset sounds on this controller, and I admit they are a bit boring and . However the FA, in my opinion has an extremely powerful synthesis engine and I have been able to edit the presets to get a perfect sound and overwrite them. You can literally get every sound you could ever want by fiddling with a few knobs for a while. Lush strings, deep 808 drums, blaring horns, psychedelic pads, stabbing synths, calm winded instruments, and beautiful guitars. The possibilities are endless, and you do not need to be an audio engineer with a degree to work with the simple software. The 16 track sequencer is so good that I almost never record directly into my DAW anymore. I record 8 bars of music and dump it to the SD card and make another 8 bars until I have all the parts to my song then I dump those files into a DAW and begin to move the pieces in my desired order. Its so simple and made my workflow so much easier. 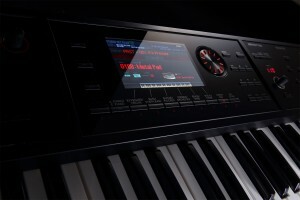 My only complaint about this product is that the keys aren’t very responsive when making drum tracks. 1/32 notes can’t be recognized like I would expect. Maybe just me.